Please Speak Up on the I-25 Gap Environmental Assessment. Improving Teacher Pay. Honor Deputy Micah Flick. Please take this opportunity to register your opinion with CDOT about the I-25 Gap. 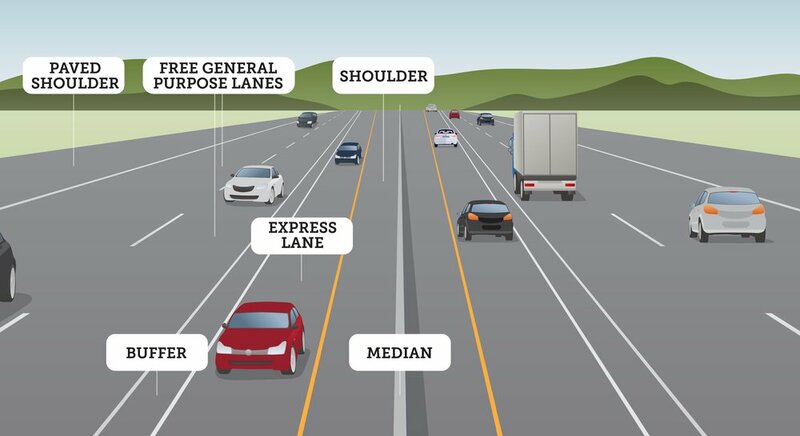 The Colorado Department of Transportation (CDOT) and Federal Highway Administration (FHWA) have released the I-25 South Gap: Monument to Castle Rock Environmental Assessment (EA) for public comment. CDOT proposes to expand I-25 between Monument and Castle Rock by adding a new tolled Express Lane in each direction, widening shoulders, replacing outdated infrastructure and addressing design deficiencies of the aging roadway, adding wildlife underpasses, and modernizing the facility with improved drainage, lighting, communications, power, and signage. As you know we have opposed tolling the new third lane from the beginning. Recently we authored an amendment to SB18-001, this year's primary transportation legislation, that prohibits CDOT from tolling a lane without first considering an array of innovative options that would provide the public with non-toll roadways. Comments can be made in writing, online, by email, or in person at on of the hearings. Comments must be submitted by May 29th. For years we have worked to change the education funding formula to drive more money into classrooms to better serve students and support teachers--including bigger paychecks. Earlier this session I voted for a school finance bill that, when all the the elements including pension funds are combined, adds almost 10% more money to schools than last year. It’s vital that these dollars find their way into the classroom and higher pay for teachers. But that's not a State decision, that’s a choice local districts need to make. Last week we were swept into a kerfuffle around a bill drafted and introduced in the State Senate, SB18-264. The bill would limit public employee union strikes--a concept I agree with. Public employees have many methods of advocating, and striking against taxpayers is not appropriate. But the bill also had some language that was unfair to individual teachers that I saw would need to be amended out if the bill made it to the House where I serve. I would never penalize a teacher. My mom was a teacher, my grandmother (potentially the most influential person in my life) was a teacher and principal, my wife was a teacher, my daughter-in-law is a teacher, my son-in-law, my nephew, his wife...you get the picture. While I supported the idea that union-led strikes harm students and should be discouraged, it always was my intention to amend the Senate bill to remove any penalties for teachers if the bill came to me in the House. Few professions, if any, are as important as teacher. Teachers sacrifice evenings and weekends to make sure our students have the best possible learning experience and each one of them deserves to be treated as a professional. I would not support a bill that penalizes them. The focus of the bill would be to prevent the harm that union strikes bring to our communities. Last week the teachers union in Pueblo (D60) voted to strike. This isn't productive. It hurts students, it hurts schools, it hurts the district, and it hurts the community. Across the state students are missing out on class time and parents are scrambling to fill the gaps left by strikes and walkouts. Multiple times in committee hearings under my questioning the union has testified that all teachers do the same job and deserve the same pay. I disagree. Teachers are professionals and deserve to be supported and paid as professionals. We must continue our work to improve educational opportunities and outcomes in Colorado and provide our teachers the support they need to help students reach their goals. As always, I welcome your participation as we work to support teachers, engage parents, and improve educational opportunities for students in Colorado. Recently our community lost a hero. On Wednesday, members of the general assembly honored Deputy Sheriff Micah Flick who was shot and killed while serving in Colorado Springs on February 5, 2018. Please join me in remembering Deputy Flick and his family in the months and years to come. Stay tuned for more updates as we near the end of the 2018 regular session.